Readiculously Peachy: Author Interview: Polly Holyoke from The Neptune Project! 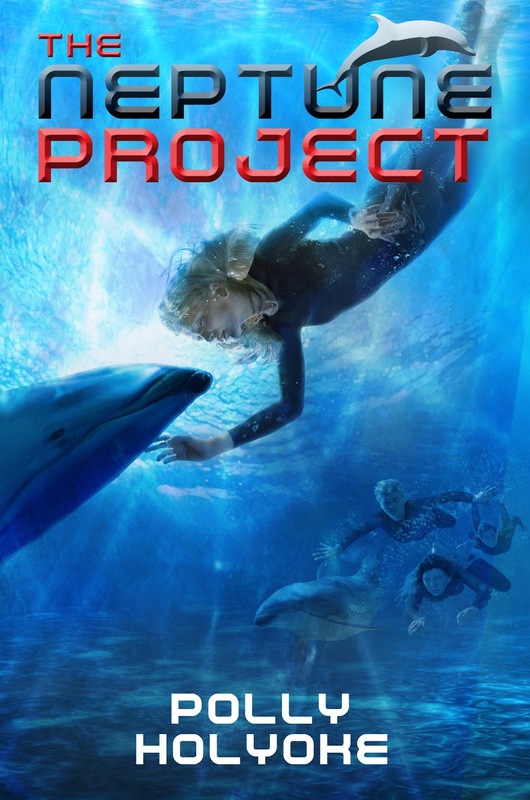 Author Interview: Polly Holyoke from The Neptune Project! I am myself extremely passionate about dolphins so when I read the synopsis of your book I was so excited and immediately intrigued! What inspired you to write such an enticing story? I have been worried about the future of our planet for a long time now. At the rate we are polluting our land, it just makes sense to me that we may have consider colonizing the seas which cover 5/6ths of our world. I read a ton of books on oceanography in general and on dolphins in particular. I also interviewed dolphin trainers, marine biologists and dive masters. But my favorite research definitely was swimming with dolphins. My family and I swam with domesticated dolphins in Florida which was incredibly fun. On an even more amazing day, I went snorkeling with wild spinner dolphins off the Big Island in Hawaii. There were hundreds of spinners in the pod I followed, and the sound of their squeaking and whistling was fascinating. Later that day the captain of our boat dropped a hydrophone in the water, and we listened to male humpback whales singing. Their song is a sound I will never forget. It’s terribly tempting to anthropomorphize dolphins and whales, but when you hear humpbacks, you have to believe they possess remarkable intelligence. So your book includes a lot of marine life (especially dolphins) when I look at the front cover and read from the synopsis. How and when did your passion for the marine life begin? Growing up in landlocked Colorado, I’ve always been fascinated by the sea. I would stare at the surf for hours any time I was fortunate enough to travel to the coast with my family. My favorite cartoon when I was little was Marine Boy, an early Japanese anime series all about a boy who could breathe seawater after he chewed some aqua gum. He also was friends with a dolphin and a mermaid, and the three went off and had all sorts of wonderful adventures together. 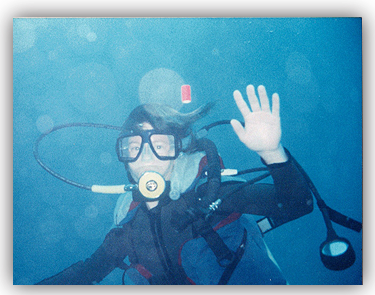 Learning how to scuba dive in my twenties only increased my passion for the ocean. Unfortunately that part of the story took the least amount of imagination. Whether or not you believe that people are causing climate change, it’s a scientific fact that the oceans are rising and wreaking havoc in low-lying countries like Bangladesh. If we don’t figure out a way to counteract climate change soon, whole nations will be fighting over water and arable land in another few centuries. So this seems like an early teen/young adult read bundled with suspense, action, fantasy and may we say a little... Romance? What else can the readers expect from your book? I think at its heart The Neptune Project is a story about a shy girl learning that she has both the courage and the judgment to become a leader. 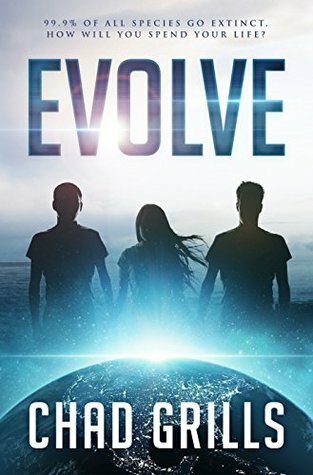 The main character, Nere Hanson, seems to have been misled for what she truly is and that she was part of a big genetic experiment. Do you in any way or to an extent see yourself in this character (perhaps emotionally, as physically would be quite creepy but awesome at the same time!)? I can’t say that I’ve ever been worried that my parents genetically altered me before I was born. That would be way creepy. But I was a shy girl growing up, and I’ve always loved stories where the shy kid comes into her or his own, becomes a hero and gets to save the day. What would you say is the ideal audience for this book? I think this is a terrific story for 10-14-year-old girls, but there’s enough action and adventure in the book to appeal to boys that age as well. What’s been surprising is the cross-over appeal of the book. I’ve been receiving quite a bit of fan mail from YA readers, too. I’ve also recently received three lovely emails from the parents of reluctant readers. Because the book is so exciting, their children just powered right through The Neptune Project. Can we expect a sequel or perhaps even a trilogy? I hope so. I’m waiting to hear whether or not Disney Hyperion is going to buy the sequel. The good news is that I have already finished Neptune 2: The Corridors of Atlantea, and Puffin UK has purchased it. Cross you fingers for me. I really love this second book, and I’m hoping that my American fans will have a chance to read it, too. Is there a special message in the story or is that something you would like the readers to find out for themselves? I hope my readers discover what an amazing world exists beneath the waves, and that world matters to all of us. Polly Holyoke has been imagining stories since she was in fifth grade. When she isn’t writing, Polly loves reading, camping, skiing, scuba diving and hiking in the desert (where she quite stupidly got herself bitten by a rattlesnake). She lives with three rescue dogs, two spoiled cats and a nice husband who is tolerant about the piles of books all over their house. Her debut middlegrade novel, THE NEPTUNE PROJECT, is the story of a young girl leading a group of genetically altered teens fighting to survive in the sea. She is thrilled that this novel will be published by Disney/Hyperion and Puffin Books UK summer, 2013. She thinks the best part about being an author is going to work in her sweatpants and getting paid for daydreaming! 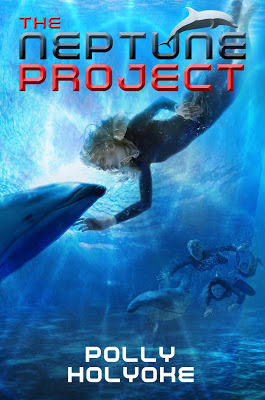 If you are interested in Polly Holyoke's fantastic book and you would love to get a chance to read it, than go ahead and take part of the giveaway of The Neptune Project (U.S. Only)!! Goodluck! Really great interview. Lovely outline. Finished reading! Read my review here! Next book TBR coming soon!